Fans of the Cleveland Browns can rejoice as the team finally has a trophy. Over the weekend, National Football League commissioner Roger Goodell presented the team with a participation award for 2016, even though the season hasn’t started yet. 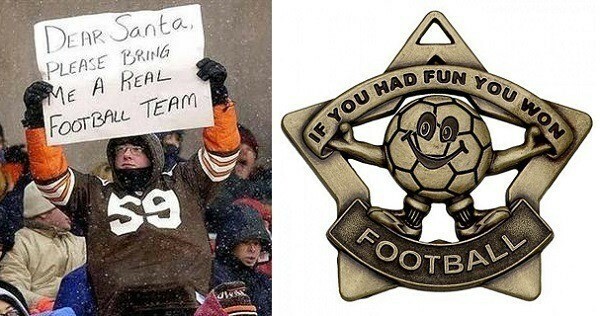 Taking a cue from elementary schools and youth sports programs across the country, the NFL decided to issue participation trophies to every team in the league — even the Cleveland Browns — regardless of accomplishment. Browns quarterback Pat Devlin said he is putting the trophy straight on his mantle at home.